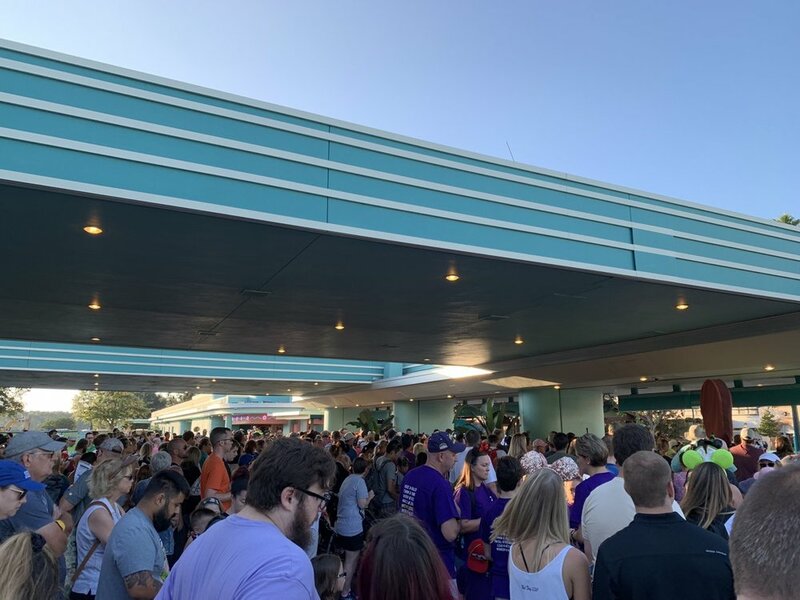 In this post we discuss how to use FastPass+ successfully at Hollywood Studios in 2019, including the Hollywood Studios FastPass tiers and the best rides to Fastpass at Hollywood Studios. We also cover Toy Story Land FastPass+ strategy and discuss the implications of the August 29 Star Wars: Galaxy’s Edge opening. We also suggest reading our Walt Disney World FastPass+ strategy for a complete understanding of the FastPass+ system. To hear more about specific rides, check out our Hollywood Studios rides guide. We’ve also applied this strategy to put together a one-day Hollywood Studios itinerary. With FastPass+, a person can book an hour window to come back to certain rides and skip the lines. Since waits for some rides can get to three or more hours (even six hours on New Year's Eve), FastPass+ is an important part of planning your day at Hollywood Studios. When booking FastPass+ in advance, you can book three rides each day. Those three rides must be at the same park. At Hollywood Studios, you can book one Tier 1 attraction in advance and two Tier 2 attractions in advance (or three Tier 2 and no Tier 1). Tier 1 bookings often fill up 30 to 60 days in advance, though you'll see sporadic availability pop up even on the same day. Before we get to the details of Hollywood Studios FastPass, we want to review 2018 and talk about changes you can expect in 2019. Feel free to skip down if you’re not interested in this, but 2018 does provide some valuable insights into what to expect from 2019. For the first half of 2018, following the closing of Great Movie Ride, there were only four true rides at Hollywood Studios – Rock 'n' Roller Coaster, Toy Story Mania!, Tower of Terror, and Star Tours. Midway through the year, Toy Story Land opened, and Hollywood Studios was still only at six rides, but that included the two newest rides in Walt Disney World. 2019 will bring two major changes to Hollywood Studios. First, Mickey & Minnie’s Runaway Railway will be opening. Currently we have no information or expectations about how this ride will work with FastPass+, but our best guess is it will be a Tier 1 ride and replace Alien Swirling Saucers. Second, Star Wars: Galaxy’s Edge (Star Wars Land) is scheduled to open on August 29, 2019. The land will open with new attraction, Millennium Falcon: Smuggler’s Run, with the second attraction expected to open later in the year. Currently, Disney has only told us that the two new Star Wars attractions will not be part of FastPass+ in the short term. In the long-term, we wouldn’t be surprised to see Hollywood Studios move to a tierless FastPass+ structure like what Magic Kingdom has. We also wouldn’t be surprised to see some other or additional major change to FastPass+, like three tiers or a heavily paid system. As of the opening of Toy Story Land, there are still two Hollywood Studios FastPass tiers, but they have changed a lot from the good ol' days. Tier 1 has three attractions, and Tier 2 has ten attractions. Toy Story Mania! is the only attraction that is a Tier 1 attraction prior to Toy Story Land opening that remains a Tier 1 attraction. The other three former Tier 1 attractions moved to Tier 2. Again, Millennium Falcon: Smuggler’s Run will not be a part of FastPass+ when it opens. The obvious Tier 1 choice for best Hollywood Studios ride to FastPass is Slinky Dog Dash, the more popular of the two new Toy Story Land rides. Slinky Dog Dash is definitely the toughest FastPass+ to get at Hollywood Studios. It also regularly spends the entire day with waits of over an hour. That said, for visits prior to August 29, if you grab any Tier 1 Hollywood Studios FastPass+ in advance, you’re in good shape. Starting with visits on August 29, we expect you’ll strongly want to get a Slinky Dog Dash FastPass+ rather than Toy Story Mania! This is because you won’t be able to head to Slinky Dog Dash at rope drop (you’ll be starting with Millennium Falcon: Smuggler’s run, after all). There are only three rides you really need consider for your Tier 2 Hollywood Studios Fastpass+ reservations: Tower of Terror, Rock 'n' Roller Coaster, and Star Tours. We personally don't care for Rock 'n' Roller Coaster, but it is extremely popular and has an abysmal queue you should skip at all costs. Rock ‘n’ Roller Coaster is an obvious choice for one of your two Tier 2 attractions. Between Tower of Terror and Star Tours, Tower of Terror is more popular, and thus we suggest that it is the best Hollywood Studios ride to FastPass+ with your last reservation. Now that we've covered the Hollywood Studios FastPass+ tiers, we need to talk about how to plan a few other aspects of FastPass+. First, we talk about where in your overall trip planning you should try and fit Hollywood Studios. Next, we cover how to schedule your Hollywood Studios FastPass+ reservations. Finally, we talk about how to handle FastPass+ at Hollywood Studios beyond your initial set of reservations. Star Wars: Galaxy’s Edge—aka Star Wars Land—will be opening at Hollywood Studios on August 29, 2019 with one operational ride. A second ride is expected to open later in 2019. Everything written after this section pertains only to park visits before August 29. However, we wanted to give you quick notes on visiting on or after August 29 (we will update this post more fully around then). First, allow yourself three hours for rope drop. You first FastPass+ should not be earlier than three hours after the park opens. 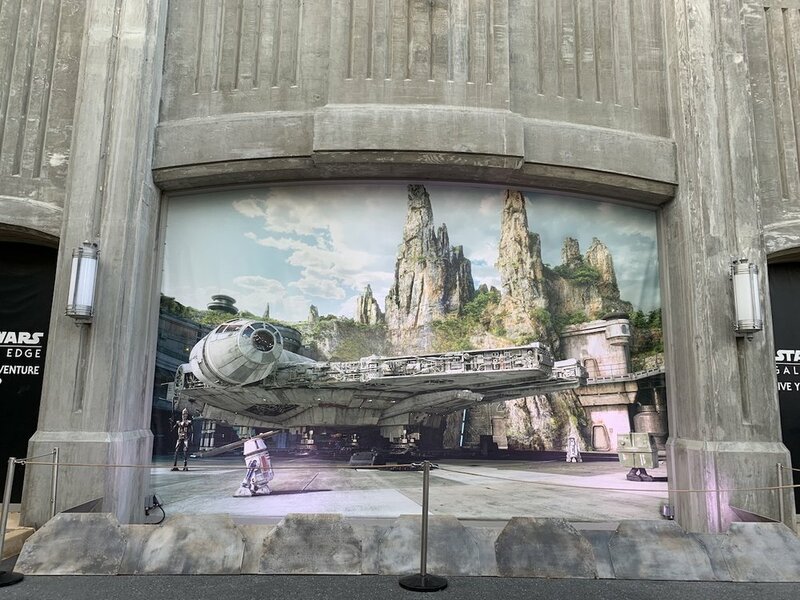 At this point, this is just our best guess as to how long you should reasonably expect it to take you to visit Star Wars: Galaxy’s Edge, including Millennium Falcon: Smuggler’s Run, in the morning. Third, plan for a full day at Hollywood Studios. Even with only one of the new Galaxy’s Edge rides operating, we think Hollywood Studios will be worthy of a full day beginning August 29. Remember, you can only book FastPass+ in advance at a single park each day. This means on shorter trips you're going to be walking in to some parks without FastPass+ reservations. Here's how we suggest you fit Hollywood Studios into the mix. For visits of one or two days, do not book FastPass+ at Hollywood Studios, unless you cannot book a Flight of Passage or Na’vi River Journey FastPass+ at Animal Kingdom. Over two days, you’re probably going to do one day at Magic Kingdom and a split day over Animal Kingdom and Hollywood Studios. The half day at Hollywood Studios will be much easier without FastPass+ than the half day at Animal Kingdom, where Flight of Passage waits still occasionally hit three hours. If you can get a Flight of Passage FastPass+ at Animal Kingdom, take it over a Slinky Dog Dash FastPass. For visits of three days or more, you should feel free to book one day at Hollywood Studios in advance. Either way, you don’t need to freak out of you don’t get a Slinky Dog Dash FastPass+. Grab any Tier 1 at Hollywood Studios, and you’ll be fine. You’ll want to schedule your first FastPass+ of the day (preferably your Tier 1 ride) for about two hours after park open to allow you time to cover some rides at rope drop—the opening of the park. We have a post that covers rope drop strategy at Hollywood Studios. If you’re thinking you’ll just arrive and things will go smoothly—think again (and read that post). We strongly believe you should try to ride Slinky Dog Dash at night if you can. Whether you also ride it during the day is sort of a toss-up, but we definitely think you should aim to be on it around 7:15 to 7:30PM to enjoy it at night, so what’s the best way to do that? If you grab a Slinky Dog Dash FastPass+ for nighttime, you won’t be able to grab a fourth FastPass+ the entire day. Until Hollywood Studios adds a seventh ride in 2019, we think it’s great to schedule a nighttime Slinky Dog Dash FastPass+. If you arrive at rope drop, you’ll easily be done with the other two Toy Story Land rides 90 minutes into the park opening. With two more FastPass+ reservations for the remaining three rides, you’ll have no problem covering the park. If you don’t have a nighttime Slink Dog Dash FastPass+, just keep an eye on waits and try to get in line to be on it around 7:15 to 7:30PM. Even with the addition of Toy Story Land, we don't think Hollywood Studios is more than a one-day park. If you arrive at rope drop, you can easily finish the rides in half of a day, leaving your entire afternoon for the shows or another park. We have a full post dedicated to our one-day Hollywood Studios itinerary. Rope drop Toy Story Mania! You can swap Slinky Dog Dash and Toy Story Mania! in this example, if necessary. Once you use your Tier 1 reservation, you'll want to pull out your My Disney Experience app and see about moving your Tier 2 reservations up. With some tinkering, you may be able to get on your first three rides in near succession. Tap, Grab, and Modify isn't entirely necessary at Hollywood Studios. If Tier 1 Fastpass+ rides are available, then obviously this is a good way to get extra rides or avoid waiting in any lines. On a busy Saturday of frequent searching for slots, we found Alien Swirling Saucers and Toy Story Mania for two people with relative ease. We only saw two slots for Slinky Dog Dash in a day of searching, though. We booked the other three rides with ease.